From a bar director to a whiskey scientist, here are some of the names you need to know right now in the world of America's favorite booze. There I was on a chilly day along the Potomac River, a delicate-tongued wine drinker among dozens of professional whiskey makers, stirring – well, rowing, to use the technical term – the sweet-smelling mash in George Washington’s Distillery. I was there to distill our nation’s native spirit using techniques and equipment harking back to the olden days. But what I learned as I rowed the bubbling mash, using a heavy wooden rake, within a 120-gallon oak vat that resembled a giant Japanese soaking tub, was less about the age-old methods of making whiskey, and more about the present state of whiskey in America. Namely, that women are pushing the envelope. “Women have always had a role in the distilling process. 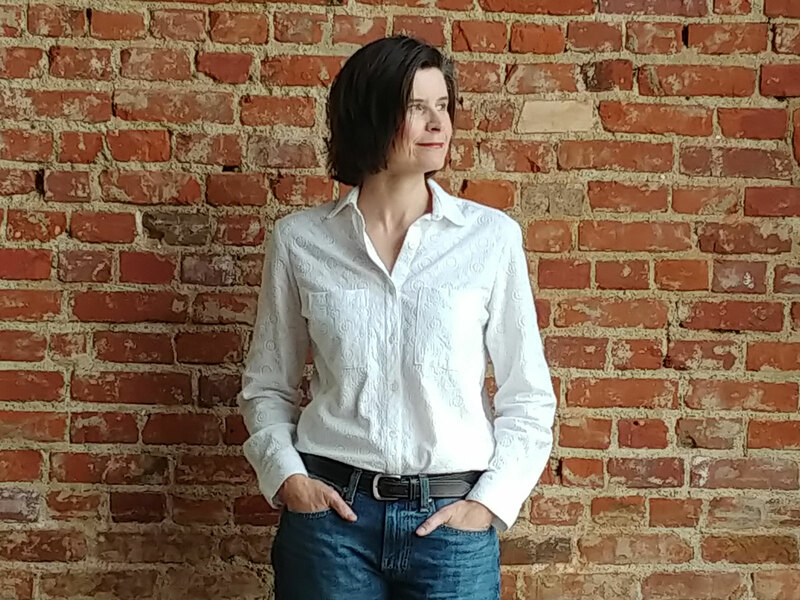 In colonial America, women were responsible for producing liquor while the men farmed," explains Becky Harris, co-owner and chief distiller at Virginia-based distillery Catoctin Creek, explains. But looking around me though steamy penumbra, as flames licked the base of the copper pot stills and the distilled liquor trickled into hand-coopered barrels, I was heartened to observe that, after a dormant period from the 1960s-1990s, women are a hugely important part of the new American whiskey revival as distillers, mixologists, business owners, and of course, consumers. 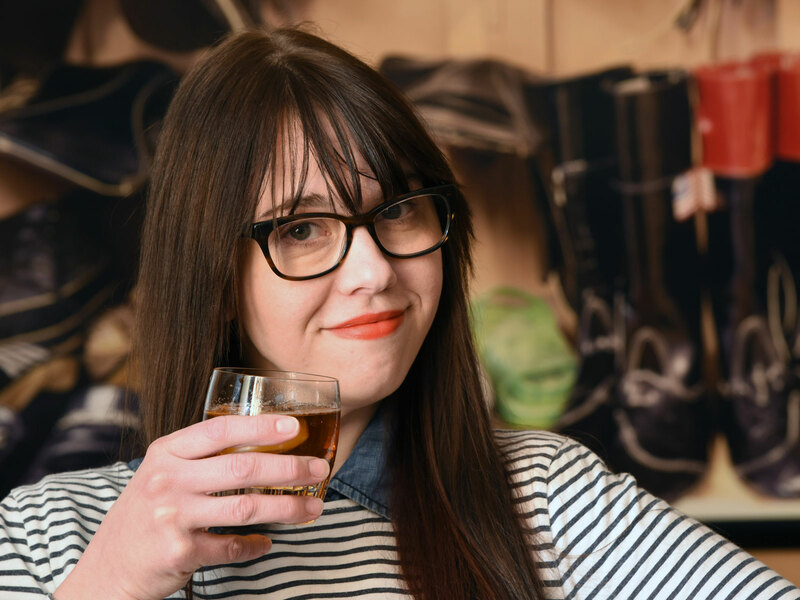 Here are six extraordinary women in the whiskey world you should know. Post-college, both women landed in Washington, DC. ; Carusone as Chief of Staff for Congresswoman Gabrielle Giffords and Gardner working in natural resource management. As their passion for bourbon deepened through visiting emerging craft distilleries like New York’s Hudson Whiskey, Carusone’s life changed in January, 2011, when her “boss and friend” Congresswoman Giffords, was shot and nearly killed. On Mother’s Day, 2016, the two women opened Republic Restoratives, following a successful crowdfunding campaign that raised just over $400,000. “Our facility is in an up-and-coming D.C. neighborhood,” says Carusone, “and we get a lot of people coming in for cocktails and weekend distillery tours.” One of the brand’s most popular whiskeys, “Rodham Rye,” is a tribute to Hillary, she continues. 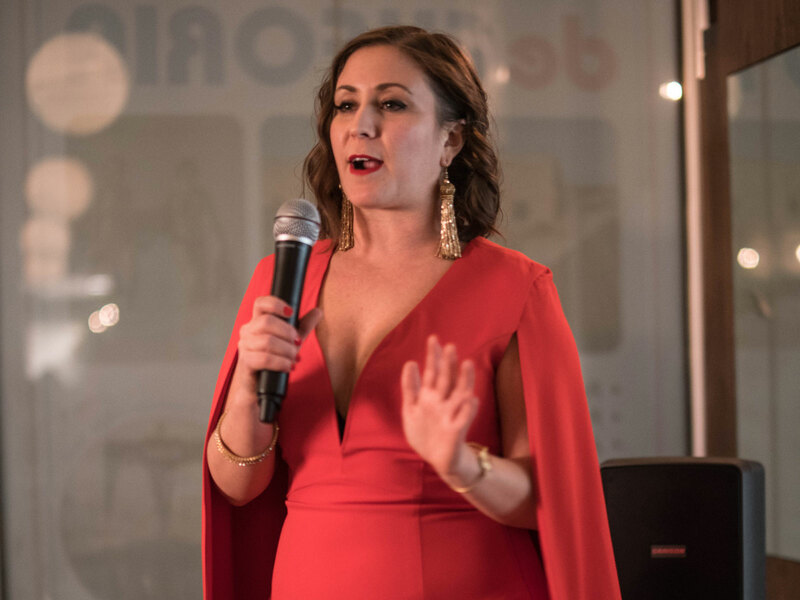 “Every time our current president says something disparaging about women, we see a spike in sales!” And when the popular women’s social club, The Wing, opened a new D.C. location recently, with District of Columbia Mayor Muriel Bowser as the launch party’s guest of honor, they served Republic Restoratives spirits. “Since The Wing is going nationwide, we hope to expand with them to all their new locations,” says Carusone. Although Catoctin Creek makes a variety of spirits from locally-sourced and organic ingredients, Harris admits to a soft spot for her award-winning organic Roundstone Rye 100 percent rye whiskeys. “They are so smooth and sip-able,” she says. “Our particular whiskey has a really fruity mid-palate, has nice spice on finish and banana esters up front.” That’s not the case with every rye, she continues, noting that her whiskey’s flavors are distinctive because she sources from three or four local providers, instead of a wholesaler. 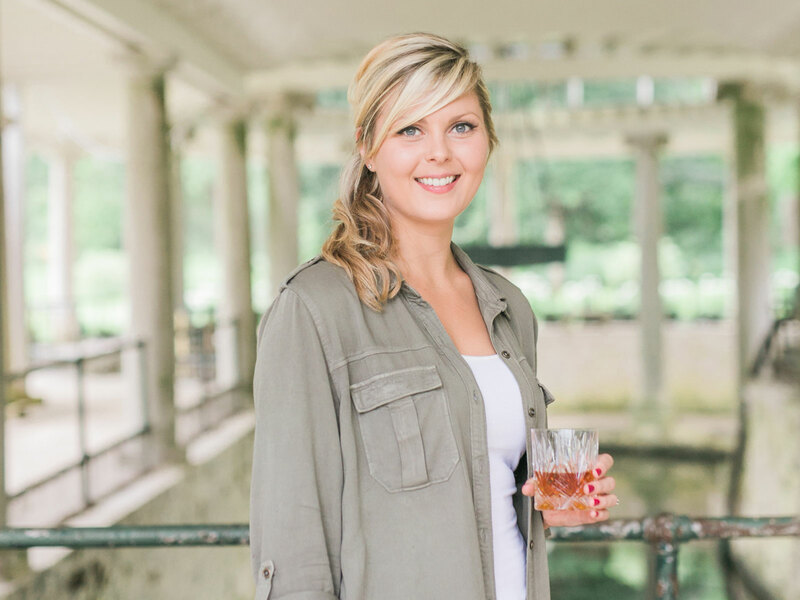 When Kentucky’s first female Master Distiller, Marianne Eaves, was given the choice between pursuing internships in renewable energy research or at the Brown-Forman distillery as part of her chemical engineering degree, “I chose the bourbon,” she says, launching a career that has been an inspiration to many young women in the industry. Then, as now, “there weren’t many women in production, she says, “probably because women have proven to be more acute in terms of sensory abilities.” But, following the advice she gives young women today who want to get involved in the traditionally male spirits industry, “I sought career growth.” And when she showed interest in distilling, Brown-Forman gave her the opportunity. 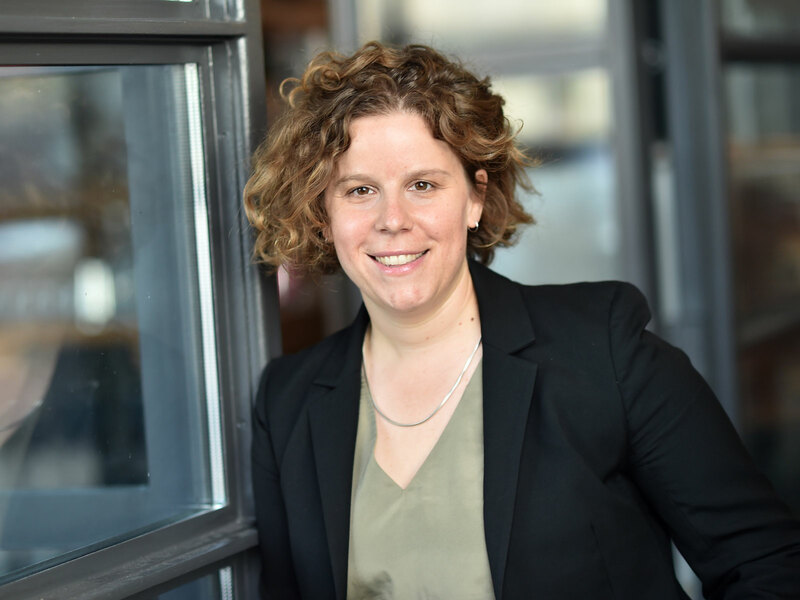 Eaves is not afraid to take risks, either, like when she left Brown-Forman in 2015 to join the start-up team charged with resurrecting Castle & Key, on the site of one of Kentucky’s oldest distilleries. “I left all the perks of my previous job,” she says, “for a once in a lifetime opportunity to be part of the original Castle & Key team, to create new products and to mold my career.” There, at 28, she was named master distiller. “I had to have it pointed out to me,” Eaves says, with typical modesty, “that I had become the first female Master Distiller in Kentucky since Prohibition.” Later she learned that, in the 1960s, another female scientist was up for promotion to Master Distiller but was denied the position because the skirted uniform females were required to wear at the time would prevent her from completing the work required on the production floor. 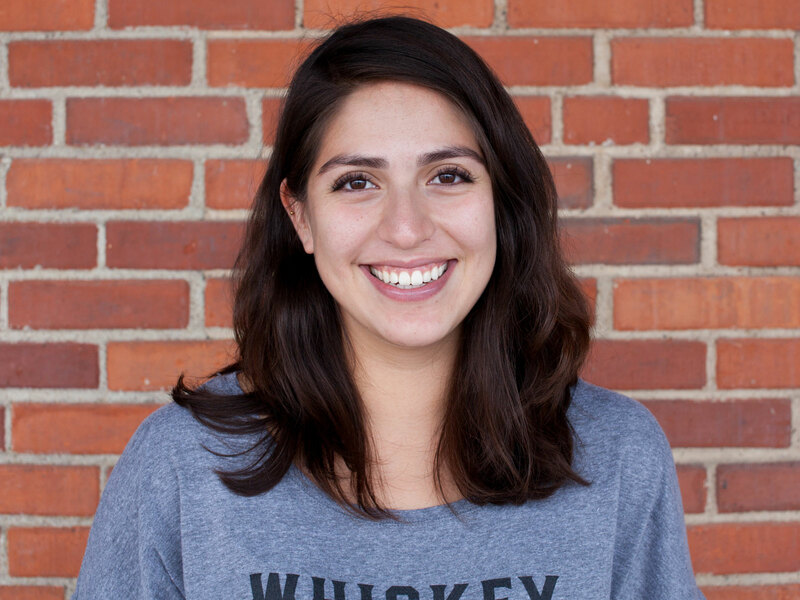 Ale Ochoa: Whiskey Scientist, Firestone & Robertson Distilling Co. Courtesy of Firestone & Robertson Distilling Co.
American whiskey production has spread far beyond the nation’s tradition whiskey-producing heartland and, in doing so, includes young women like 24-year-old Ale Ochoa, whose Mexican family settled in College Station, Texas, before she was born. But after discovering whiskey while studying in Canada, where whiskey is popular, she was determined to continue drinking her favorite spirit in the Big Apple. So, when Mind of a Chef star Edward Lee launched his Louisville, Kentucky, bar, Whiskey Dry, earlier this year, he tapped Stewart to round up the over 200 bottles of whiskey. Stewart, who says that, “if you grow up in Kentucky you are born to love bourbon, kind of like how everyone in England knows the lyrics to all the Beatles songs,” learned to bartend at Proof on Main, the bar inside Louisville’s renowned 21C Museum Hotel. That’s where she began talking to out-of-towners about how to approach whiskey, she says.